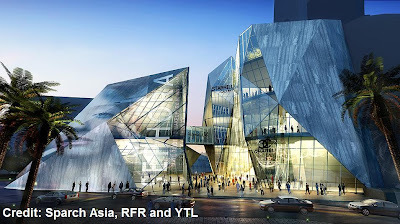 YTL is bringing a new shopping experience to Kuala Lumpur. The new Starhill Gallery will feature cutting edge glass facade, perhaps the first of its kind in this region. 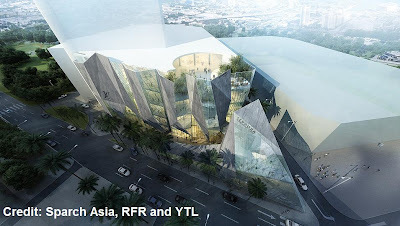 The crystal-like architecture will automatically transformed Starhill Gallery into one of Asia's most prominent luxury mall. Good news is that construction has started. 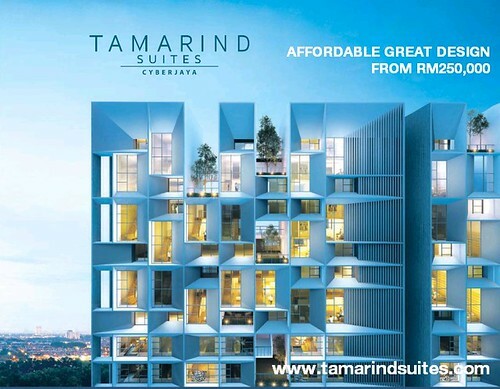 And when completed, Bukit Bintang will never be the same again! Special thanks to szehoong, victor18, rizalhakim and daijoubu. Stay tuned to Patchay.Com for coverage of more interesting stuffs and social events. Now you can follow Patchay on www.twitter.com/patchay. construction has started??really? ?wow..i'm so excited..
Nice buildings. how much glass they used? i love design of each view of building. is one of the most prestigious shopping complexes.Consisting of seven floors, each with a different name, the centre boasts one of the finest collections of both international and local brands in the higher-price range.jewellery, accessories, leather goods and more can be bought from such names as Jim Thompson, Louis Vuitton and Gucci.